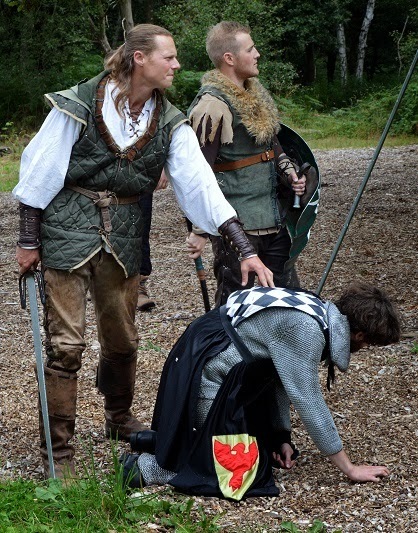 The Robin Hood Festival, Sherwood Forest, Edwinstowe, is an annual event. Seen here is Robin Hood and Little John defeating the Sheriff of Nottingham in front of the Major Oak, Sherwood Forest. Photograph was taken 4th August 2014. For more picture taken on this day visit my Robin Hood Pictures blog on THIS LINK. Labels: Edwinstowe, robin hood, Robin Hood Festival, Sherwood Forest.